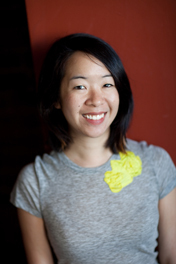 Lisa Wong Macabasco is a writer and editor living in New York. She has worked for Vogue, Slate, Mother Jones, Modern Farmer, KoreAm, the Asian American Writers' Workshop's Open City magazine, the San Francisco Bay Guardian, AsianWeek, and Hyphen magazine. She graduated from UC Berkeley and Columbia University's Graduate School of Journalism.